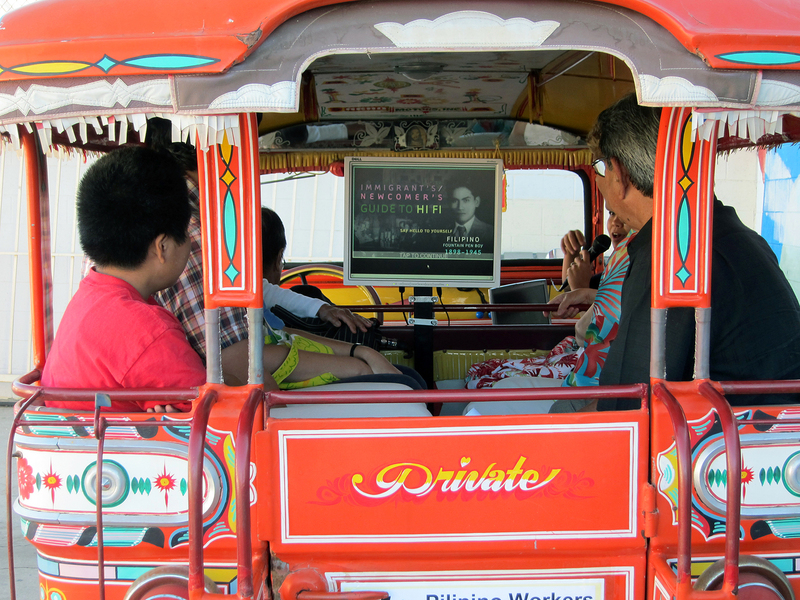 Not satisfied with just a walking time-traveling tour as a way to drive cultural and economic development in Hi Fi, Public Matters suggested wistfully that it would be amazing to experience PDUB’s content while driving around Hi Fi in a jeepney. Sometimes dreams come true. 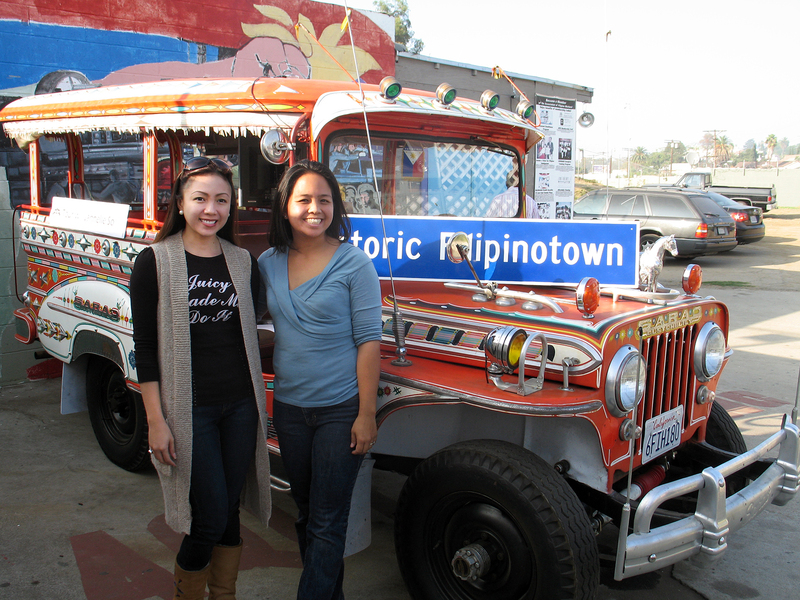 Jeep Willys were among many things the U.S. Army left in the Philippines after WWII. 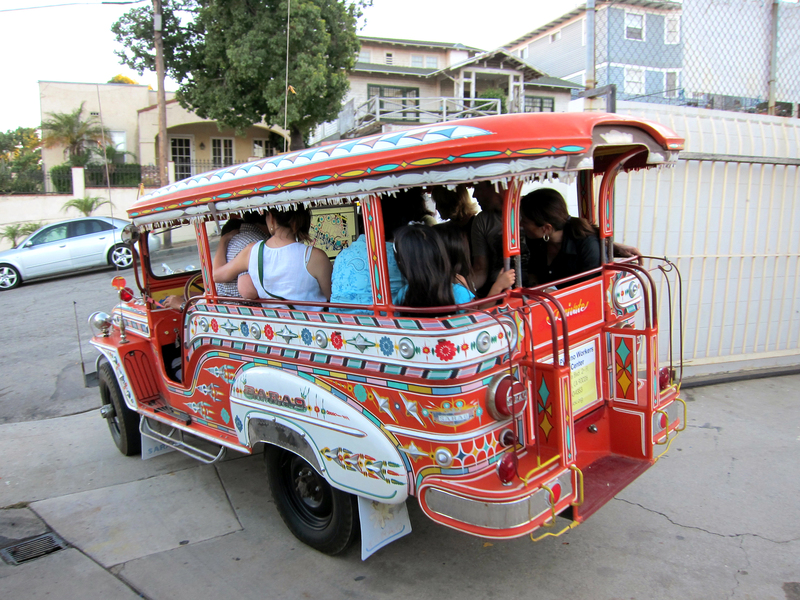 Filipinos transformed them into flamboyant forms of public transportation. 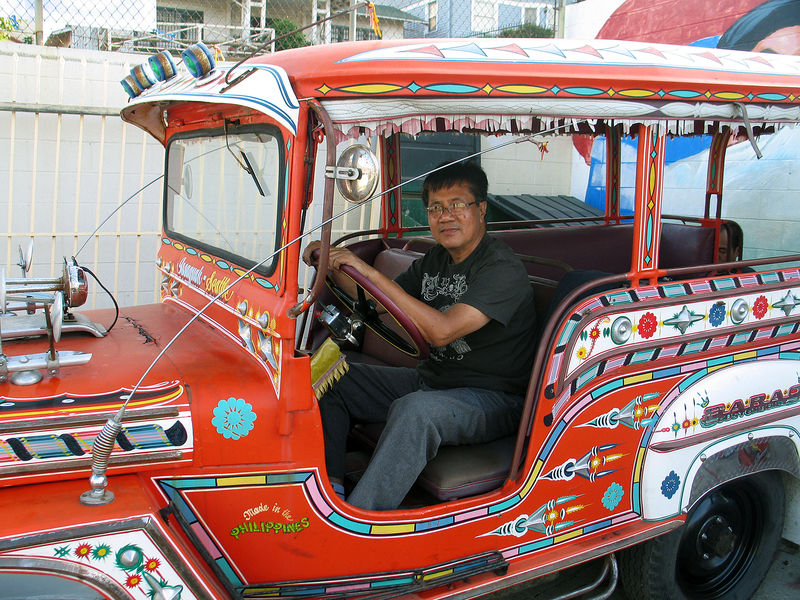 Bright, colorful, hand-decorated, they are iconic testaments to Filipino ingenuity and creativity. 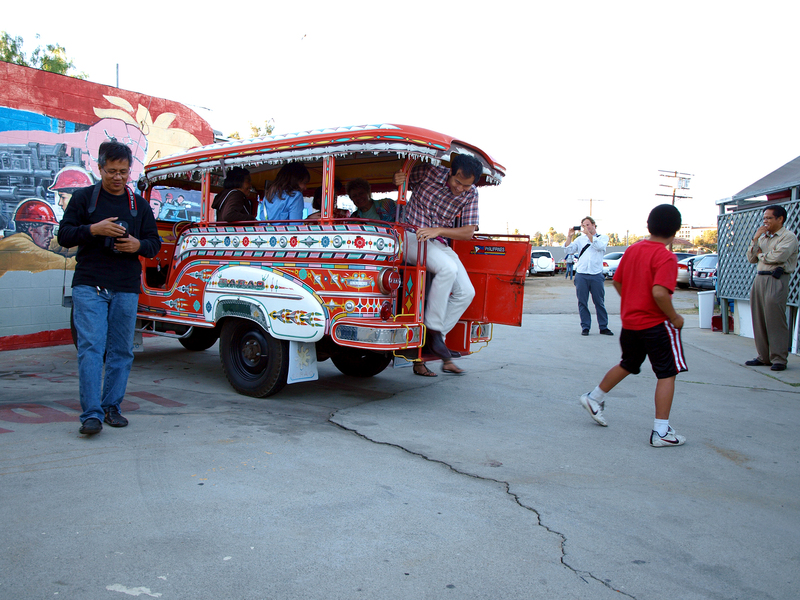 PWC acquired an original 1944 Sarao jeepney, a very rare instance where a jeepney made its way back to the U.S. UCLA REMAP tricked it out with GPS, a monitor, microphone and sound system, and a special Jeepney Mix version of the Mobile Hi Fi Guide. 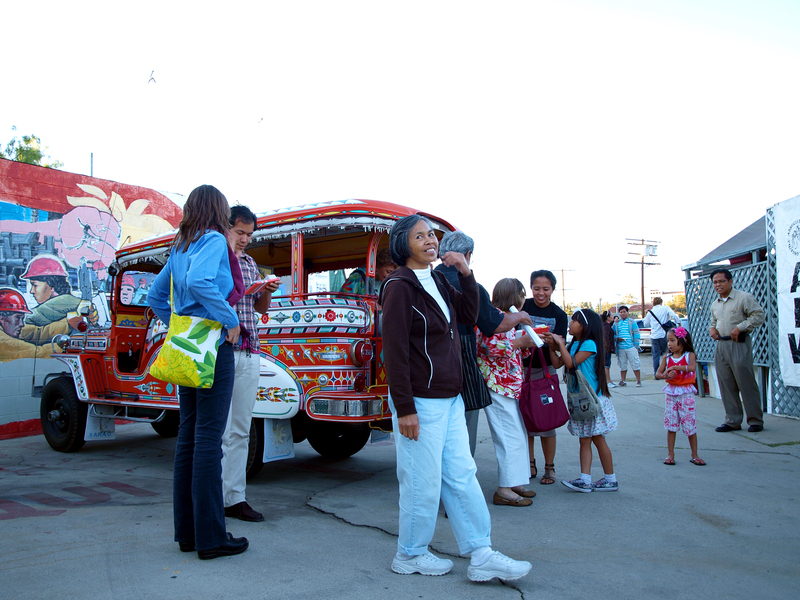 Los Angeles Mayor Eric Garcetti led the inaugural Jeepney Tour. Experience this yourself. 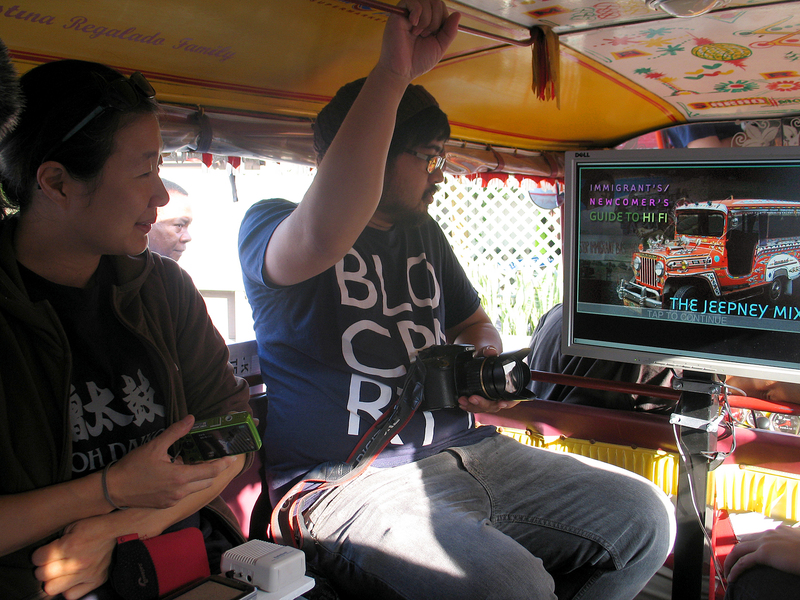 Cruising through Hi Fi in the iconic orange PWC Jeepney as crowds cheer is an unforgettable experience. You feel like a rock star. And you learn something.